7 stock traders from 7 parts of the world shared a vision. To create a place where like-minded people could meet in the financial hearts of the world’s major cities. They named themselves after ‘elephants’— universal symbols of good fortune, and that term for large financial players who make high volume trades. 7 Elephants debuts in Dubai with great food, epic drinks and a winning attitude. A unique concept symbolising the elephant’s powerful positioning in the financial world, lounge bar 7 Elephants Dubai has opened in the heart of Dubai International Financial Centre on Sheikh Zayed Road. 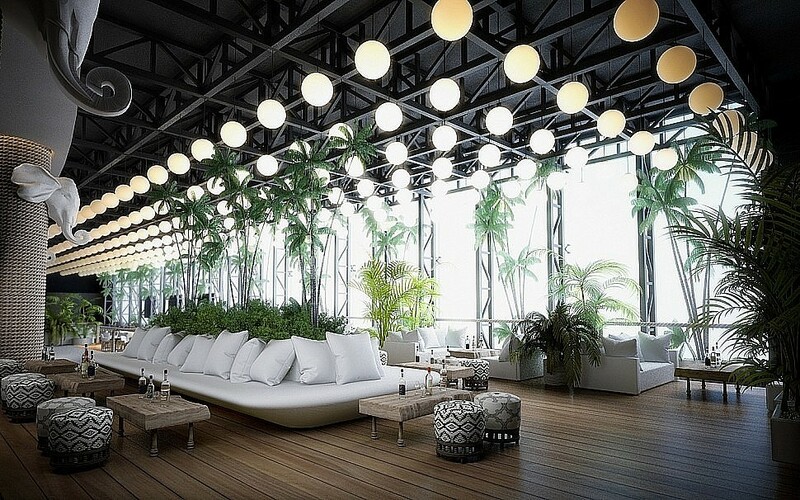 With stunning views of Burj Khalifa in the background, 7 Elephants Dubai offers a trendy, open format ambiance; its jungle inspired interior rendering the setting even more spectacular. Central to the concept is a 35m stock exchange-style board, while an app can be downloaded offering drinks specials by revealing price fluctuation throughout the night. 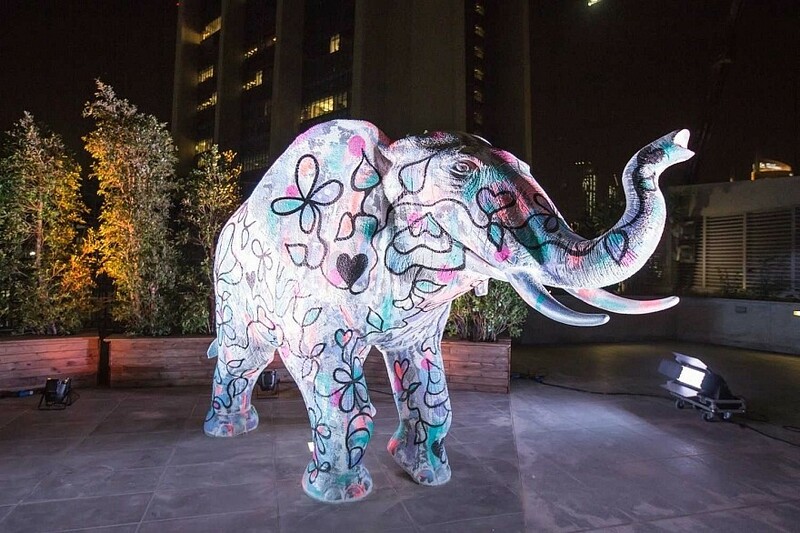 What more, guests are welcomed by a life-sized elephant at the entrance, painted by Dubai-based graffiti artist Steffi Bow.